About 8 more days left. 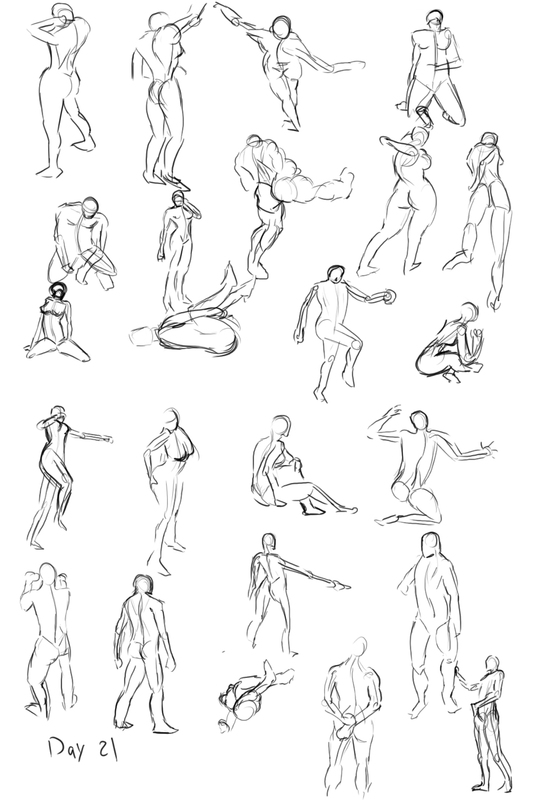 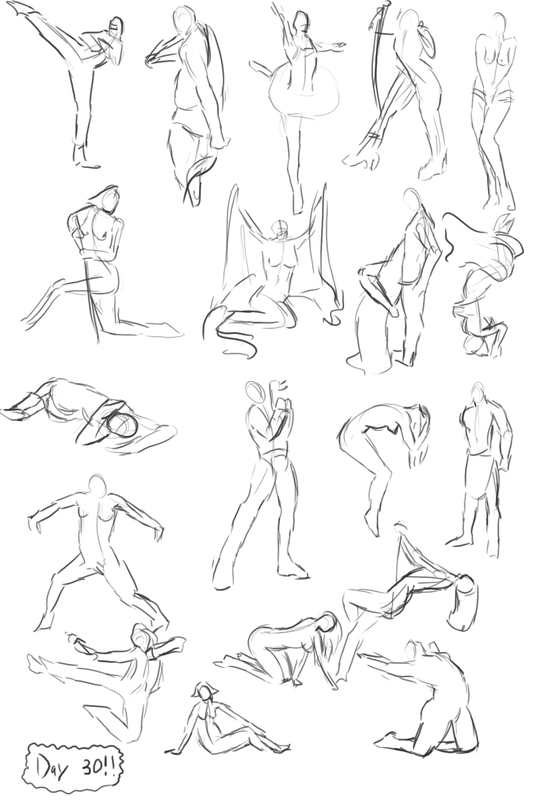 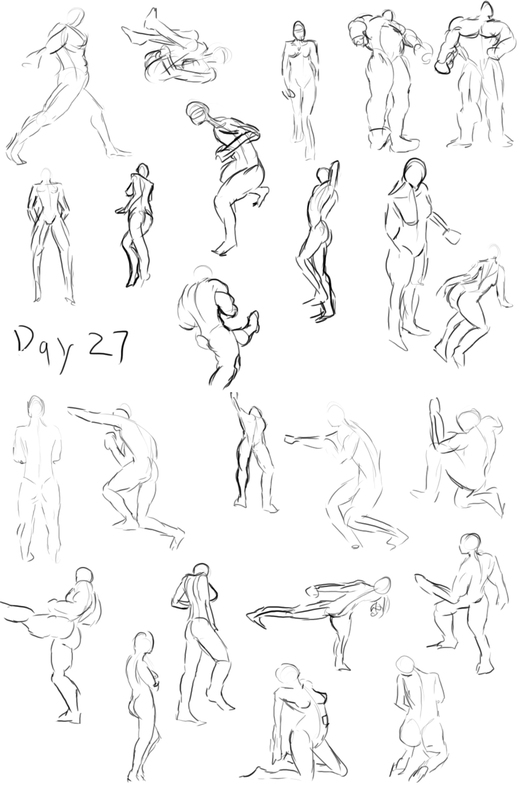 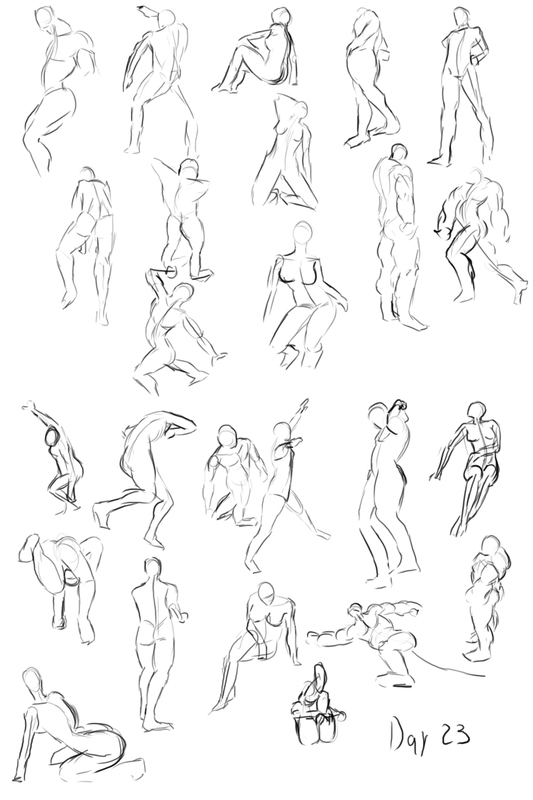 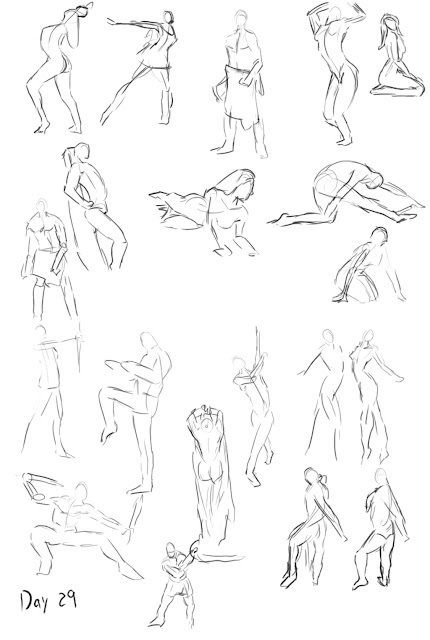 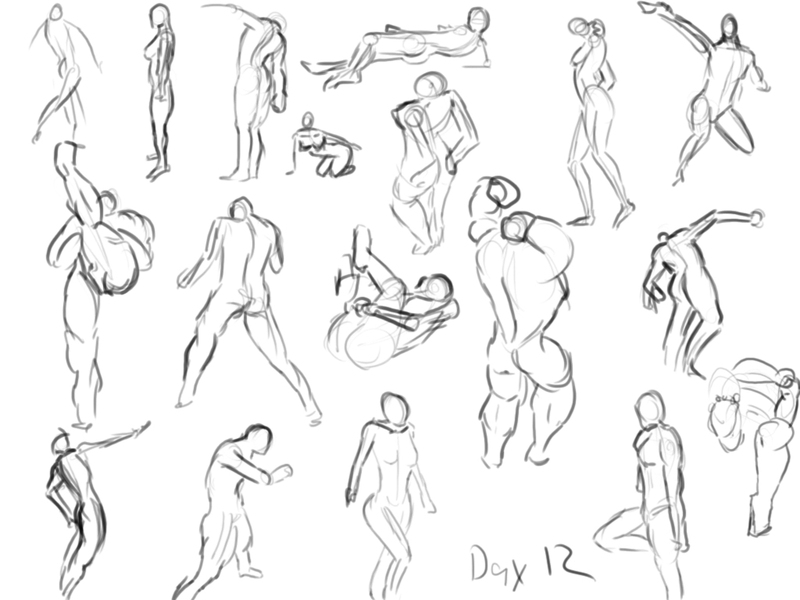 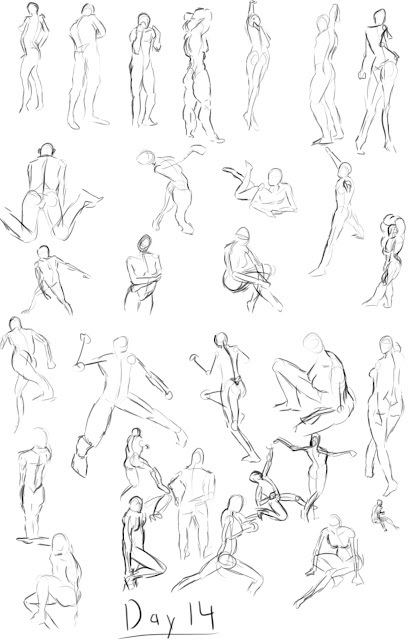 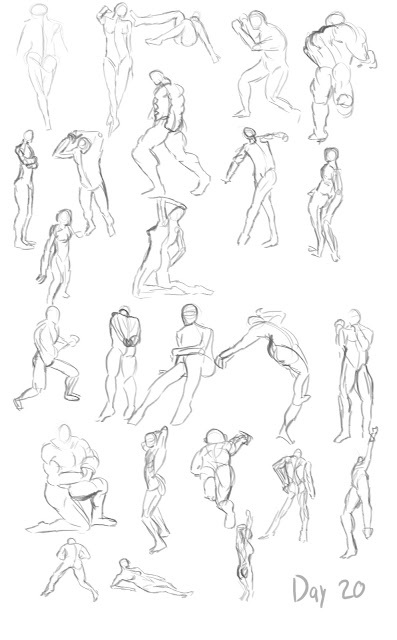 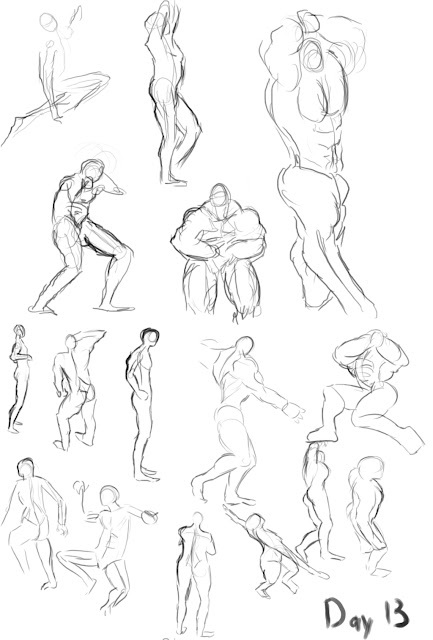 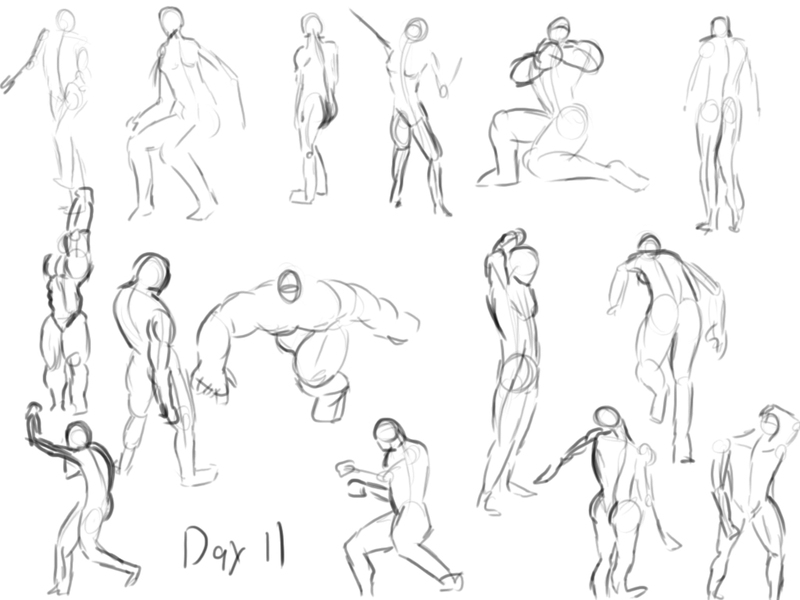 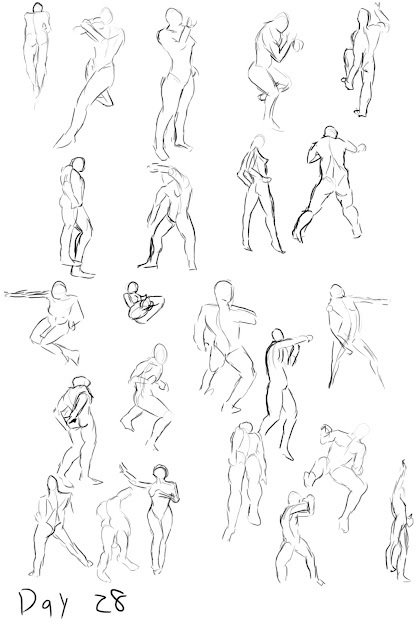 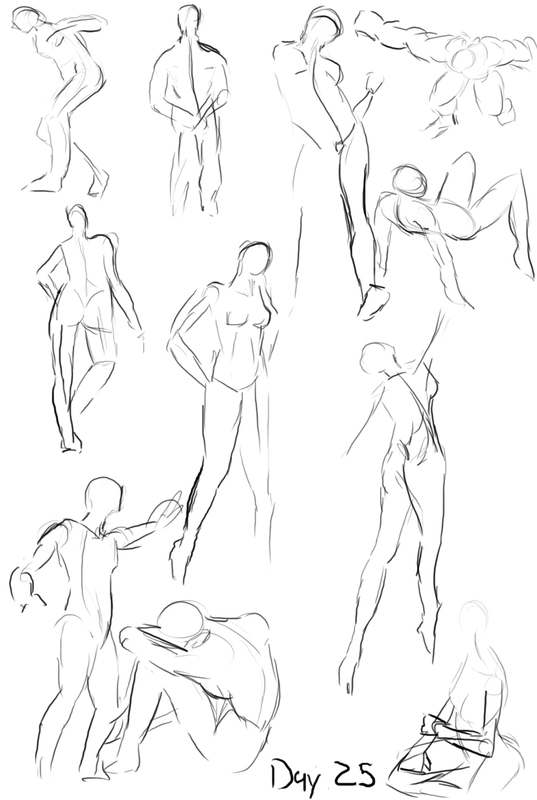 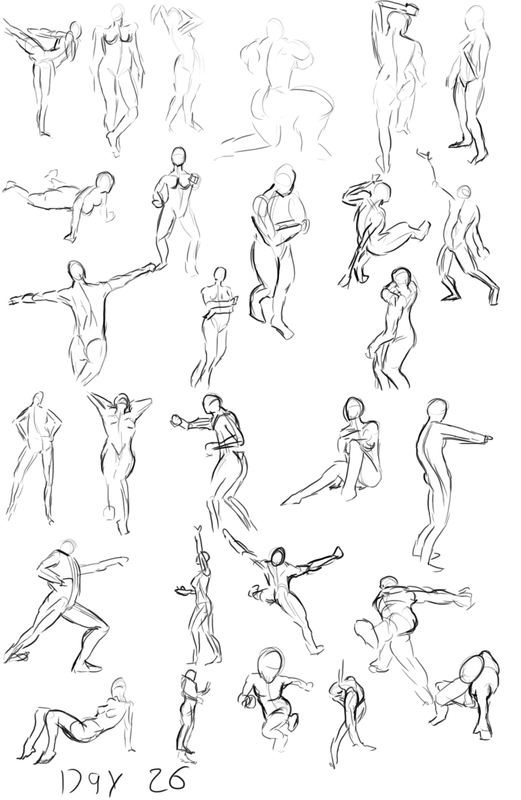 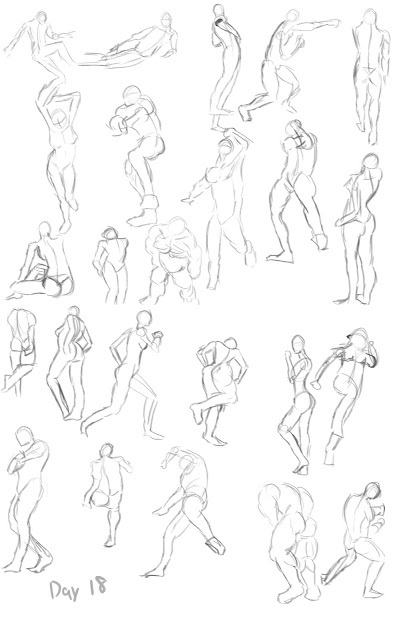 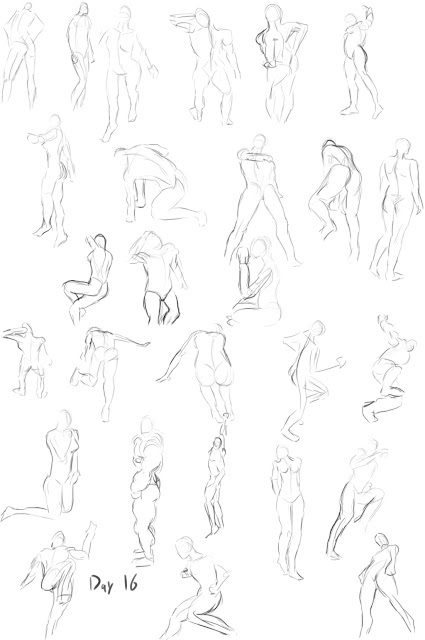 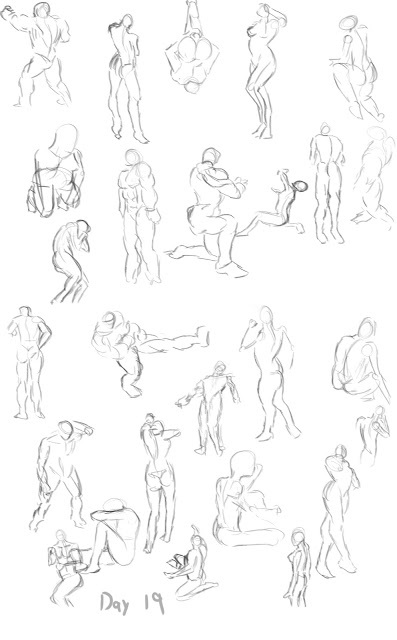 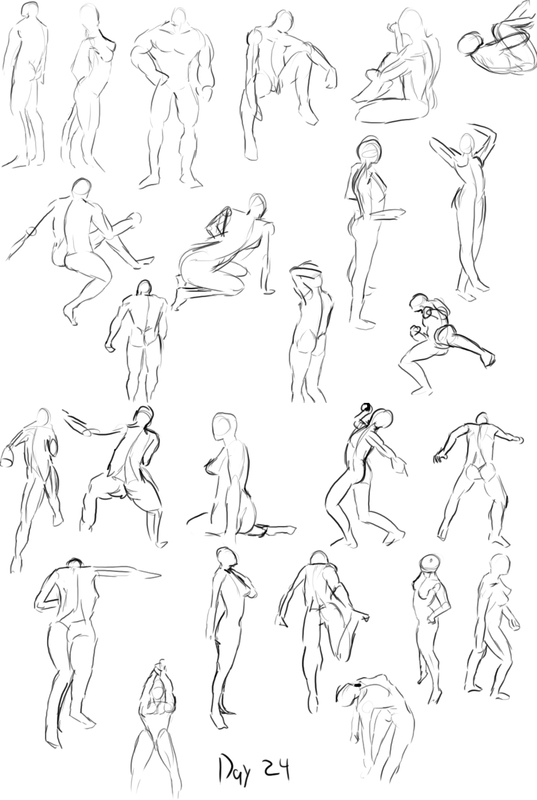 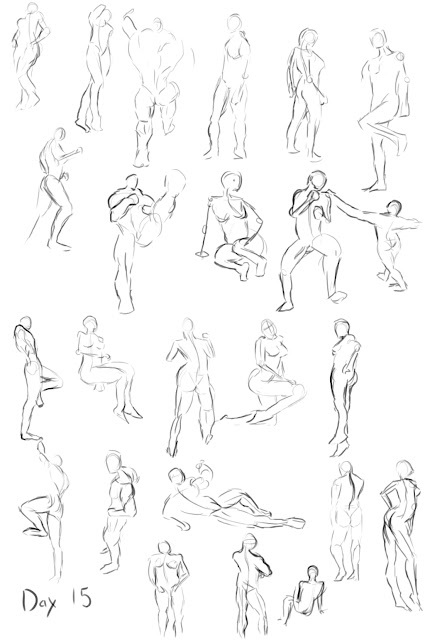 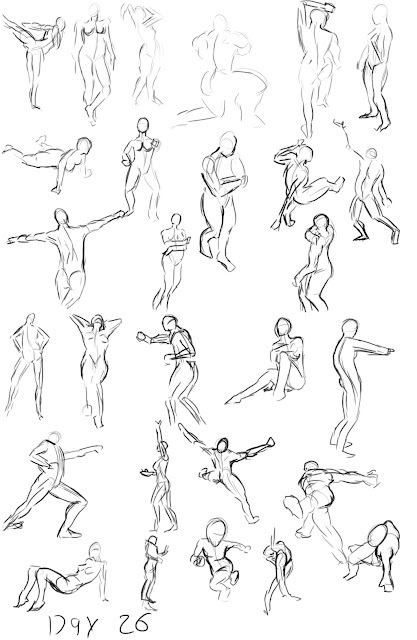 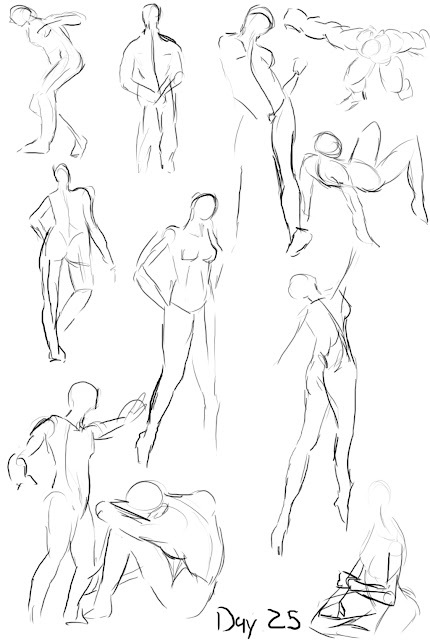 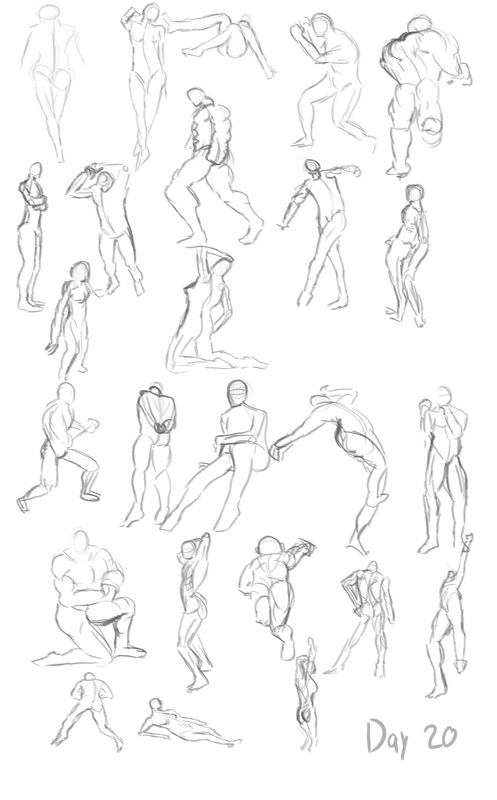 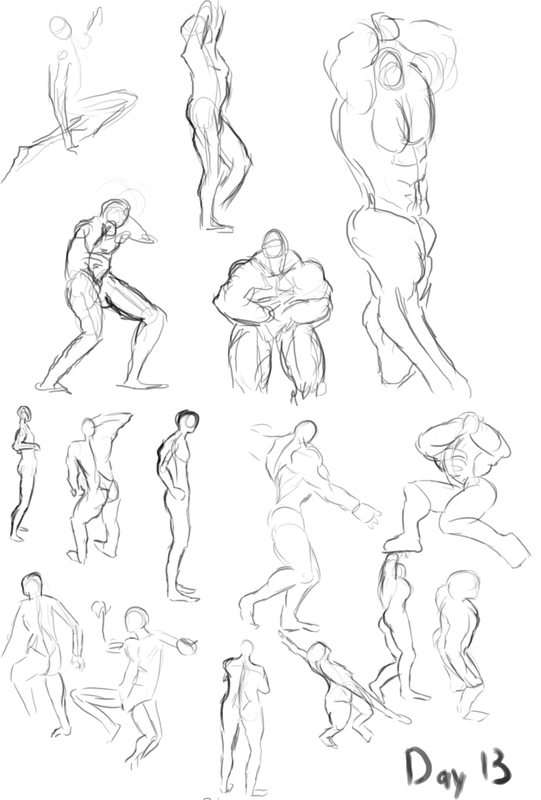 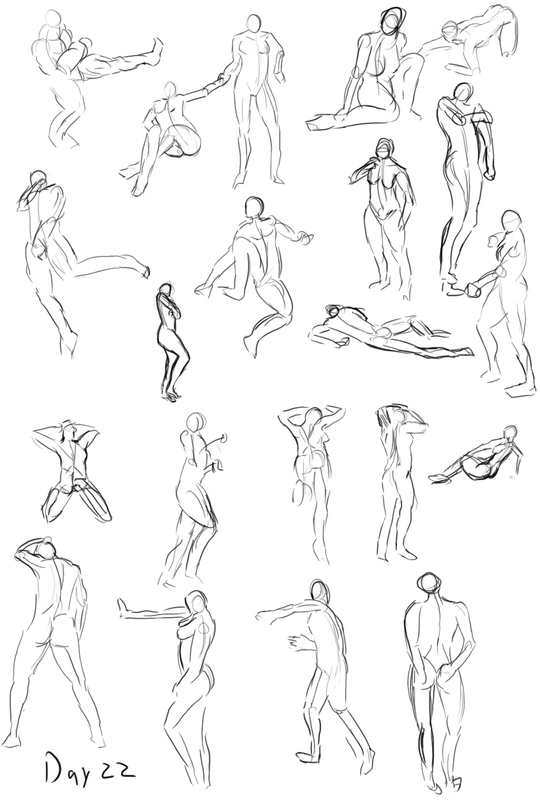 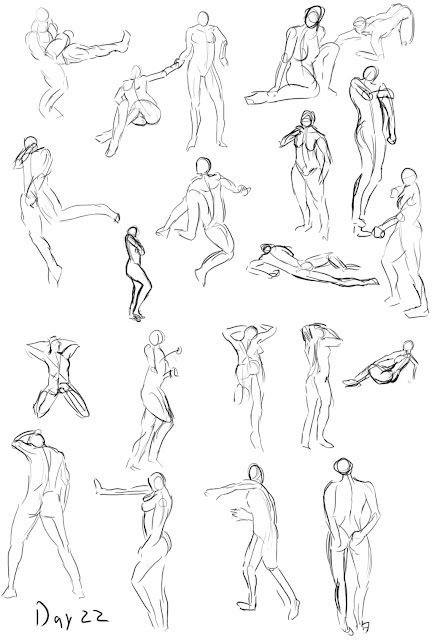 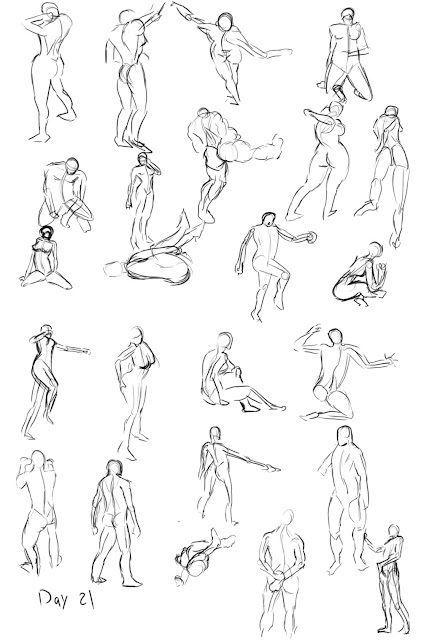 Not completely sure I've improved at the gestures so much, but in comparison to day 1, I feel a lot more comfortable within a smaller time frame figuring out the line of motion for each gesture, and my lines do seem a little more confident, with a lot less of the shaky lines while trying to draw the contour correctly. 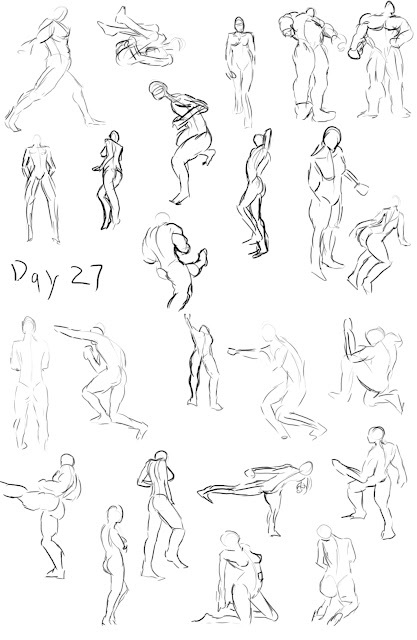 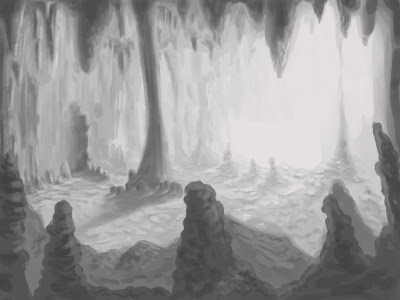 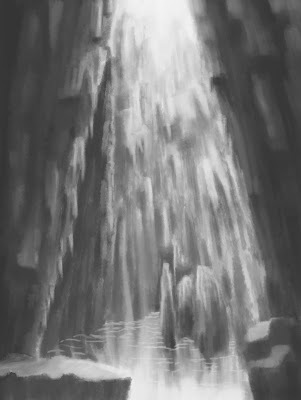 I already know, that after these 30 days are up, there's still going to be a lot more to practice. 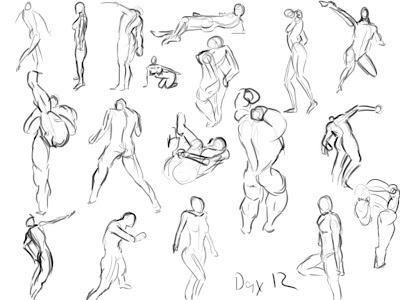 A two in one day special! 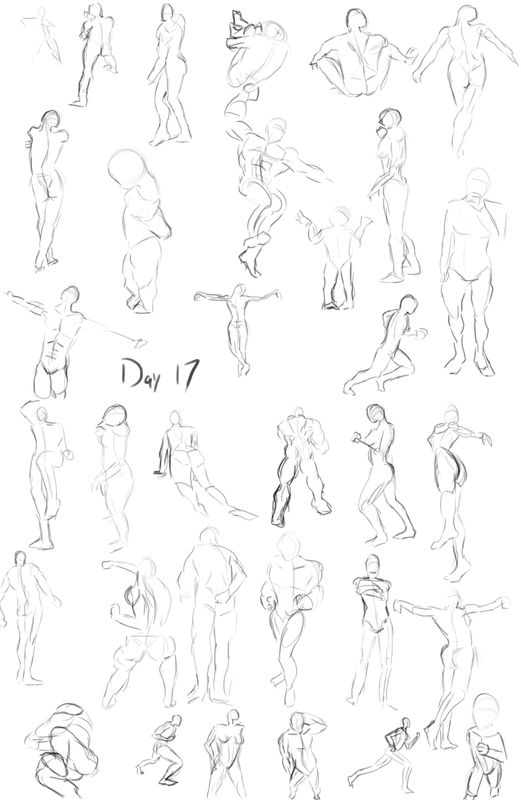 Because I forgot to post one yesterday!